I tried to wake up early, but I couldn’t do it! And then my DVR stopped before the wedding ceremony was even over!!! So, now I’m bummed. The ironic thing about this story is that yes, people do indeed know the tragic ending of their lives. The trouble is noone knew the part about when they were alive. I now have something of a new respect for Archduke Franz Ferdinand of Austria. I would like to thank the palace for putting the Wills’ and Kate’s wedding on at prime time for Melbourne and Sydney audiences – 6.30-8.30 PM. Perfect! Great series of articles. 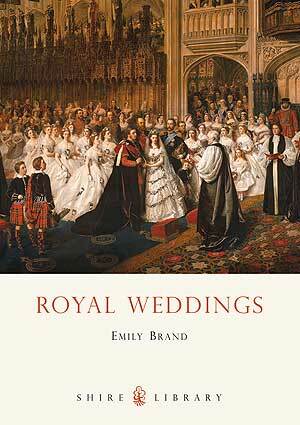 In my royal wedding-induced curiosity I’ve been reading (again) on English monarchs, mainly about lines of sucession, and there are more than a few kings and such who defied tradition or custom or, more often, family, to marry for love. I have loved the whole series about the royals. 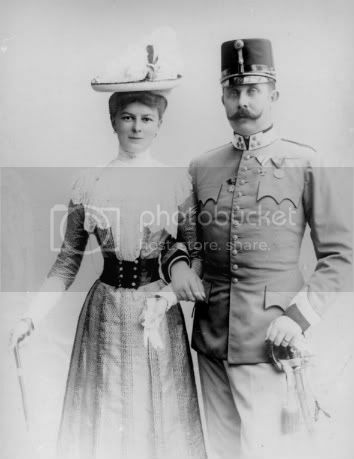 I think it’s a horrible shame that Archduke Franz Ferdinand and Countess Sophie were treated worse than mud on the bottom of a shoe! But they did at least have happiness before his death. I tried to stay up for William and Catherine’s wedding but I just couldn’t make it. I have, however, enjoyed seeing the highlights of the wedding. Fascination with the royals means fascination with history. Catherine’s grace and beauty is cllear; the pomp and circumstance was fascinating. This young couple seems to be a point of promise for the British, but also for the world. 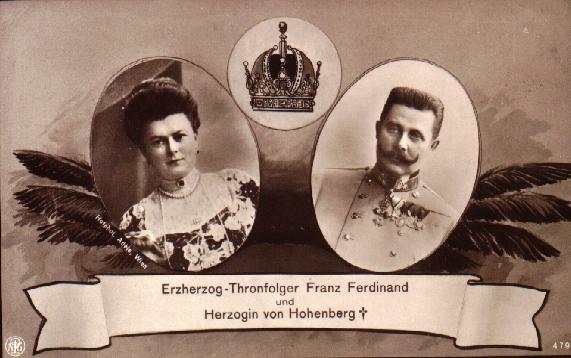 I had to stop my history lesson the other day (about the origins of the First World War) to explain just who Franz Ferdinand and Sophie were and went on a little royalty ramble. Thankfully they’re used to my royalty obsession by now. I watched as much of the wedding as I was able (I had to chase children then go out) and I loved it. I thought both Kate’s and the bridesmaids dresses were beautiful and I totally swooned when Harry said ‘wait til you see her’ as Kate walked up the aisle!